SWF symphony orchestra conducted by Ernest Bour on 05. This original german band is a world music’s precursor. A blend of Peter Michael Hamel repetitive keyboards melodies, of Robert Eliscu's oboe, Roberto Detree's classical acoustic guitar and the multi-percussive colorations of Cotch Black. “Dharana” develops here an aerial and mellow world jazz fusion, softer and less inspired than their previous album. The longest piece “Dharana” is the most accomplished, with its slow progression. The spiritual inspiration is strong throughout the album, “Dharana” is the sixth of the eight steps of Patanjali's Ashtanga Yoga and is linked to a stage of self-trance due to inner silence. 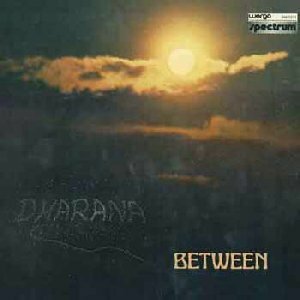 Even if “Dharana” can’t reach the previous album’s intensity, the cleaner sound production contributes to a pleasant aerial feeling and with this album, Between keeps on creating a unique musical universe, a perfect fusion of western and eastern music. And “Dharana” remains more inspired than Peter Michael Hamel’s future works. Michael Hamel. With a small community of six members, Between recorded its first album “Einstieg” in 1971. 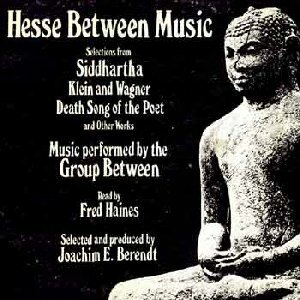 Hesse Between Music was produced in 1974 by Joachim-Ernst Berendt, and this synthesis of Hermann Hesse’s writing with Peter Michael Hamel’s music, of spirituality and art, of sitar and church organ, of meditative sounds and jazz rhythms, of silence and passion remains unique today and in the meanwhile it has obtained a legendary reputation.